Virginia Woolf read North to the Orient in 1935. 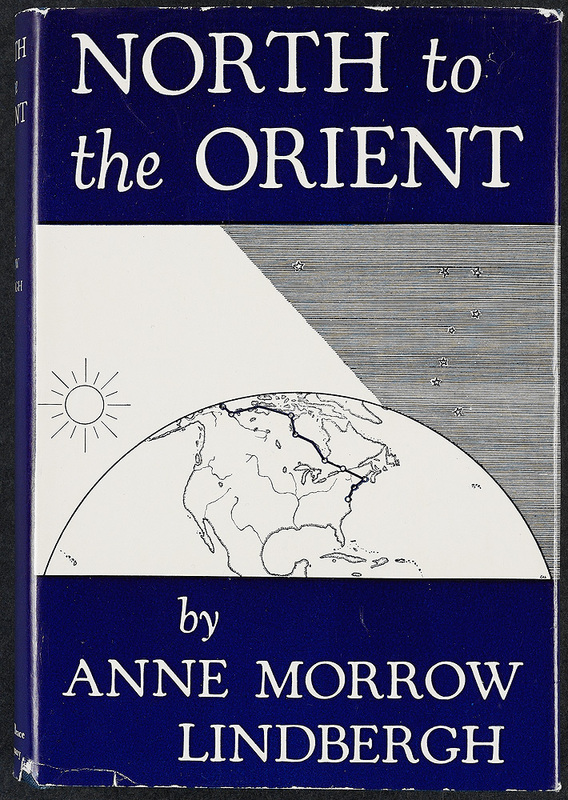 The book was written by Anne Morrow Lindbergh about her historic survey flight to Japan and China in 1931 via the Arctic on the Great Circle course. The wallet that Charles Lindbergh carried on this flight is also on display. The contents include pictures, currency, a code key, compass bearing corrections, and a license to carry a pistol. Anne Morrow Lindbergh was the co-pilot and radio operator during the trip. Anne Morrow Lindbergh. North to the Orient. New York: Harcourt, Brace, 1935. Dust jacket includes drawings by Charles Lindbergh. Charles Lindbergh. 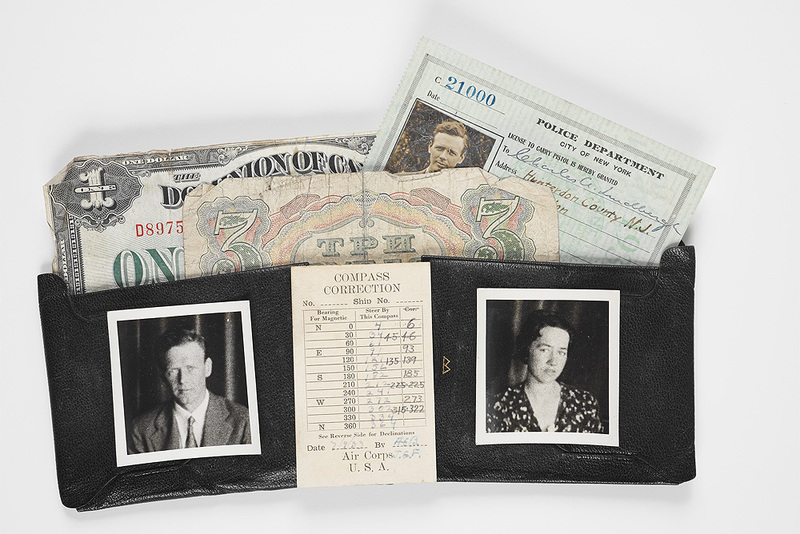 Wallet and contents, 1931. Writing North to the Orient between 1931 and 1935 was probably therapeutic. Anne Morrow Lindbergh faced many personal tragedies during this period, including the death of her father, Dwight Morrow, in October 1931, the kidnapping and murder of her first-born son in March 1932. The trial of Bruno Hauptmann in January and February 1935 followed. After the trial, the Lindberghs moved abroad, and lived for a time at Long Barn, the home of their friends Vita Sackville-West and Harold Nicolson. The Lindberghs returned to the United States in 1939. In Anne Morrow Lindbergh’s speech “The Journey Not the Arrival,” which she gave at Smith College in 1978, she said: “every woman needs ‘a room of her own’—not simply to separate her from husband and children but also to separate her two selves.” Harold Nicolson gave Woolf a copy of Lindbergh’s book in 1935. Nicolson published his biography of Dwight Morrow in 1935. 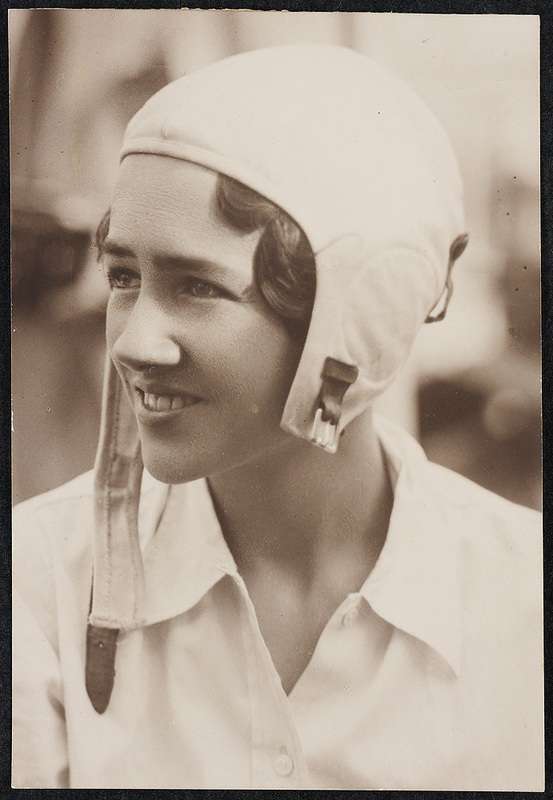 Anne Morrow Lindbergh in China: photograph, 1931. From the Smith College Archives.